Stefanie Foster, Family and Consumer Science teacher at Ridgefield High School, wanted students in her Foods 1 and 2 classes to learn valuable skills they could use in pursuing a career in the food industry; specifically, understanding the cost of goods sold, preparing a presentation and pitching it to potential customers, being creative and imaginative, and working together as part of a team. Inspired by a popular television show, she came up with a fun project that fit the bill: Cupcake Wars! 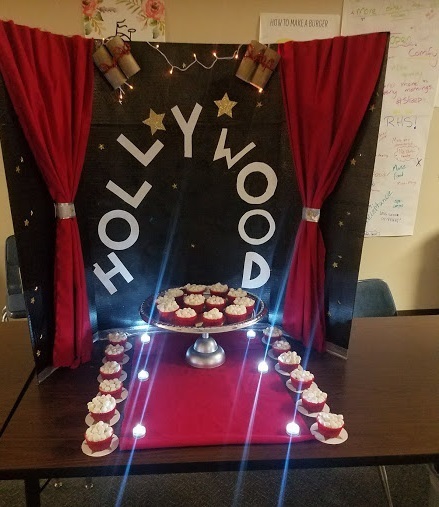 “The Movies” was the theme she created, and students would be responsible for interpreting the theme into cupcakes they would create and present to customers. 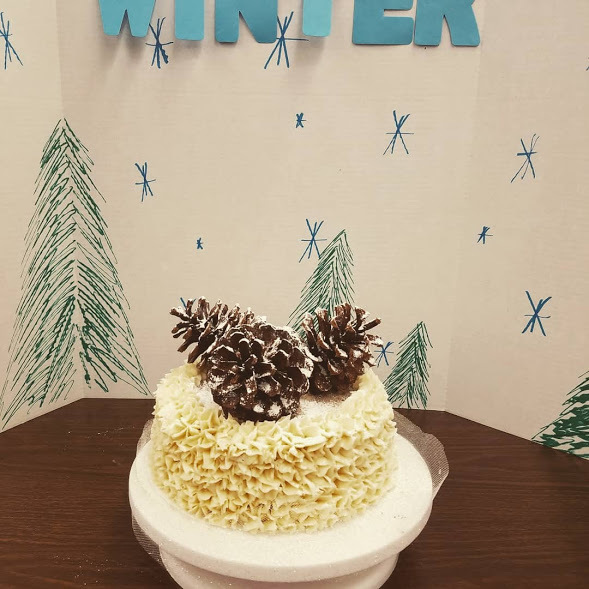 Students were responsible for researching the recipe for the final product, doing nutritional and cost analysis of the product, creating the final product (including frosting) and presenting the product to customers (RHS staff members). Final judging by staff members took place on December 15th, before Winter Break. Winning was not as important as the takeaway that the projects provided. Not only was the project fun for everyone involved, students came away learning valuable 21st century skills useful in real-life career applications.